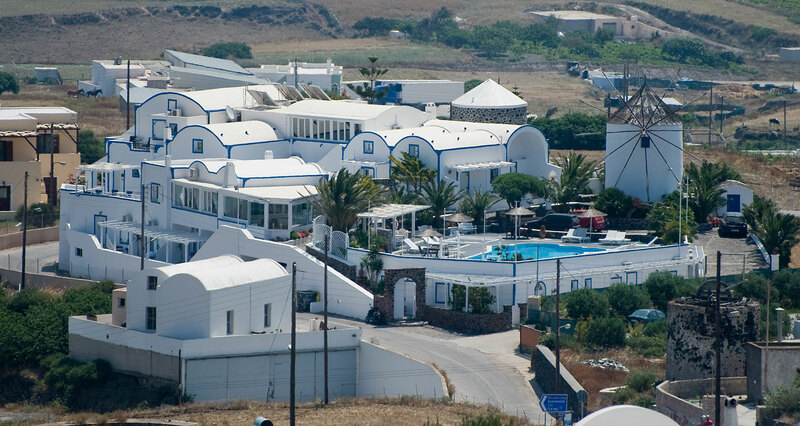 Milos Villas include an authentic windmill 250 years old, that was repaired a few years ago. The original windmill provide sitting room, kitchen, refrigerator, private bathroom. At the second floor there is a bedroom for 2 guests and a small attic, that can stay a third guest. Around the windmill there is a veranda that you can see all the island. 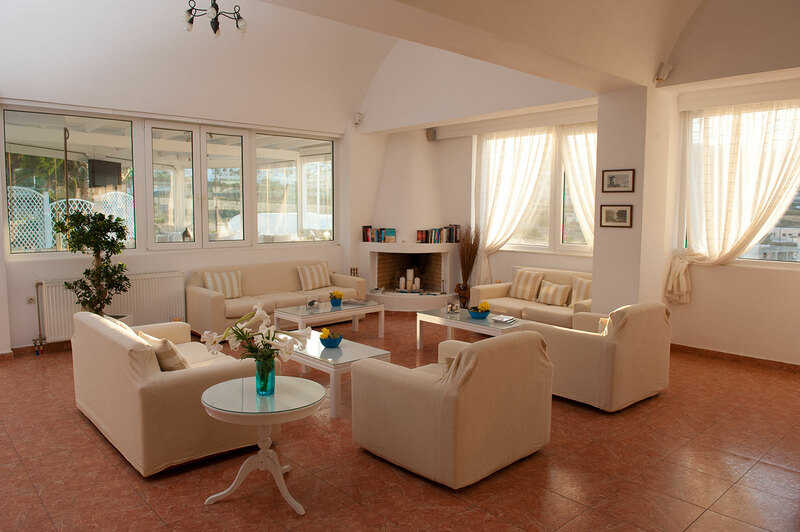 At Milos Villas our guests will experience Greek hospitality at its best. One can find a friendly and welcoming atmosphere, as well as various facilities. The hotel offers rooms, suites, apartments & studio with all modern amenities. All have central heating and air conditioning. 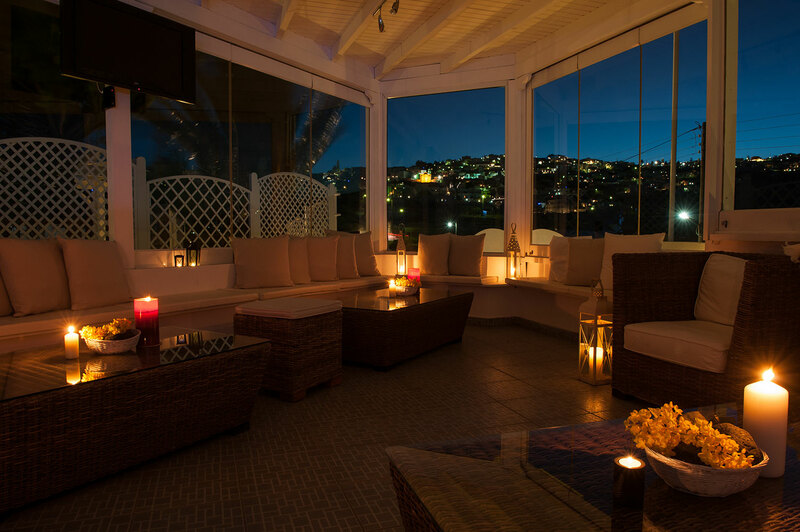 Milos Villas is the unique place for original holidays! 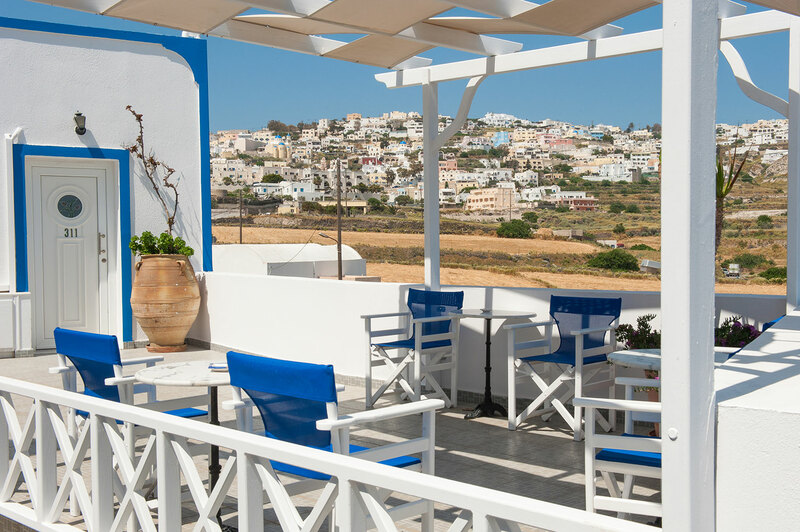 Its location is in a very quiet place 500 meters from the center of Fira, with marvelous view at the Aegean sea and all around Santorini island. • Car and 4 wheeler rentals. • Concierge services and arrangements.